Let's say that a site admin has created a ShatePoint library (or a list) with name CrappyOldUrl. Then the user decides that this is not an appropriate name for his library. The user can easily change the Name of the library from the Library Settings and changes it to Nice New Library. However the url of the Library is still /CrappyOldUrl/ and he/she calls you for help to change the url to something like http://<yoursite>/Nice New Library/. There are many articles that will tell you to use SharePoint Designer, Save the library as template and recreate it or something else. 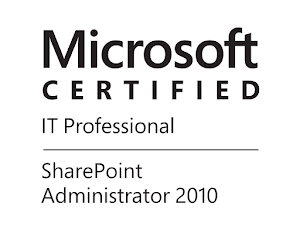 But you are lazy SharePoint administrator, for you here is a way to do this in PowerShell. And here is the result. Be careful because the Name of the library may be changed as well if it is not the same as the new url. In this case we are renaming the Root Folder of the library the original URL of the library in this example is http(s)://<WebUrl>/<LibraryRootFolder>. See the value of property ServerRelativeUrl.